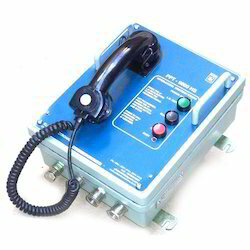 We are an Industrial Two Way Communication System manufacturer in India. We have been supplying our products to private, public and government companies in India. For Better Understanding of our customer we have given alternate name of the product also. We are a trusted name in the industry for manufacturing and supplying Industrial Two Way Communication System. The offered product is highly regarded for its unparalleled features and durability. It is used in industries for addressing huge number of workers for proper streamlining of the production unit. The offered handset is provided with a highly sensitive noise cancel device for ruling out background disturbances. Looking for Industrial Two Way Communication System ?